Since quite a few people use MyInfo to keep a diary/journal, we decided to make this year’s diary template better then the previous. In the new template, we have added a quick year/month overview, with links to each day entry. 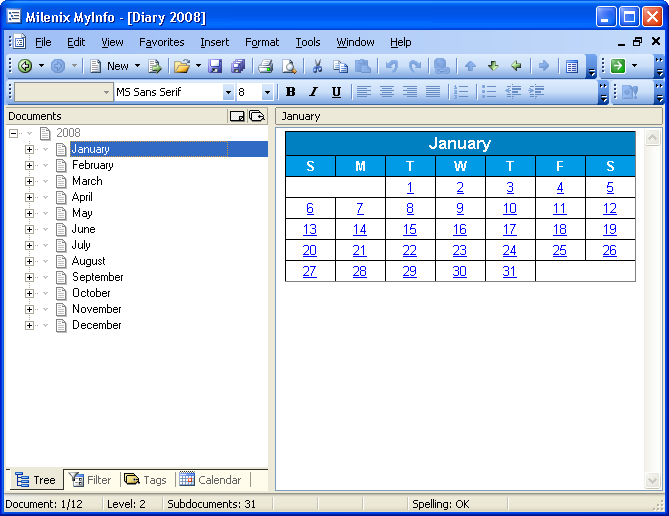 Download MyInfo Diary template for 2008. In order to install it as a template, copy it in the Configuration/Templates subfolder under your MyInfo installation. Happy New Year and let’s hope that the majority of posts in your journal will be positive!